Buy the only t-shirt dedicated to Florida Hunting! All proceeds go to fund grants through the Fish & Wildlife Foundation of Florida to help keep our hunting tradition strong for future generations. Buy the shirt, buy the tag! 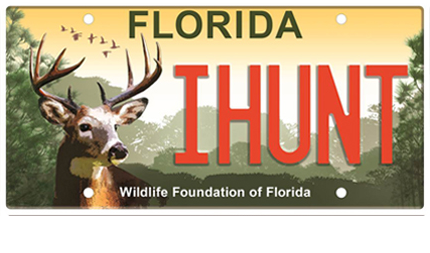 Show your support of hunting in Florida with a custom license plate and custom t-shirt. Proceeds from sales go to fund hunting grants in the state of Florida.